Someone recently said to me, in response to me quoting “Spiritual health and material well-being are not enemies; they are natural allies” , that money is the root of all evil and spirit is not a commodity. This reminded me of something that I have frequently pondered over in the last couple of decades (while practising as an acupuncturist and seeing colleagues and other healers’ attitudes to the way they charge for their services). What is this thing that a lot of “spiritual” people have that its not ok to charge for their services or at least to not charge very much, or to just do it on a donation basis. Unless you are wealthy enough to not need to earn money, if you don’t charge for services you provide that may be spiritually based, you will have another “job” that earns you money to pay for your house, food, clothing etc. Therefore, you will spend less time being of “spiritual service” to the world, and more time worrying about money and struggling to make ends meet. It is not innately spiritual to live in poverty. You can be spiritual with or without money. If you then see “wealthy” people as something to be jealous of or angry with (due to inequalities), you are then blocking wealth from coming to you. Money is an energy and needs to flow. It isn’t great to have none, but it also isn’t healthy to just “need” to accrue money, that comes from a place of poverty consciousness – there isn’t enough therefore I need to hold onto what I have. “One of the greatest secrets of prosperity is to allow it to flow to us, and through us without need to hold onto it or tie it down” Maggy Whitehouse. I love the idea of being a philanthropist. To have that much money that I can use it to support products and services that I believe in. To support spiritual communities and projects so that they are able to offer more support and classes to people that would otherwise be unable to afford it. To subsidise and promote alternative health care for all. Having been an acupuncturist all of my working life, I would love to see Acupuncture being more widely offered to the whole community. The multi-bed clinic set-up has certainly opened acupuncture up to a whole lot more people that wouldn’t ordinarily have afforded it. That makes more sense – why revere and pursue money over peace of mind, contentment, jy, happiness and bliss. It isn’t helpful to chase money but it is certainly helpful to earn enough to live a comfortable life and the more money you earn the more you can help others. 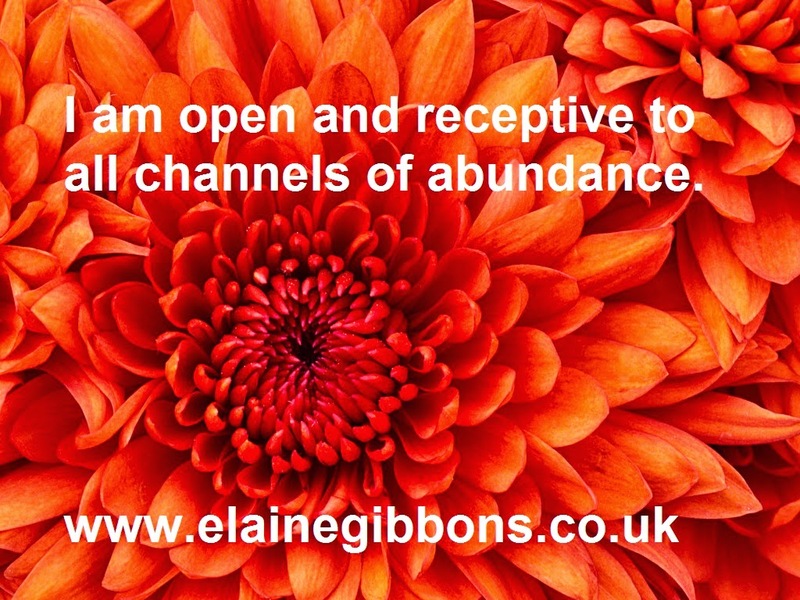 Embrace abundance!